Montserrat Pratdesaba was born at St Quirze de Besora (Catalonia-Spain) in 1963, and was nicknamed Big Mama at Barcelona's legendary "La Cova del Drac" club where her career and love for the Blues began. With only 6 years she studied piano and at age 12 she started with the guitar. Big Mama Montse is telecom engineer specialist in image and sound and has been working for 6 years in the Catalan Television (TV3) but she decided to leave that job to pursue music professionally. Since then she has been strongly committed to the Blues, singing in numerous concerts and festivals. She has coproduced 20 records and a long list of collaborations on albums in which she has participated. In addition, Big Mama's career has been related to educational work, by offering countless concerts to initiate children and adults in the Blues. She has been a musical journalist of the French magazine Blues & Co betweem 2008-16. Her artistry has also had international impact, as Putumayo Records included "No way out", a song by Big Mama & Victor Uris, for the compilation "Blues Around The World" which also featured international artists such as Taj Mahal, Bonnie Raitt, Maria Muldaur, Eric Bibb, Habib Koitié, etc. She is the President of the Barcelona Blues Society and also Vicepresident of the Association of Professional Musicians from Catalunya - Musicat. Between 2013-16 she's been one of the 12 members of the Board of the European Blues Union. On 2013, Montserrat Pratdesaba celebrated her 25th Anniversary as Big Mama on tour with the band Taller de Músics All Stars and in 2018 she commemorated 3 Decades in the Blues with her 30's Band. On 2015 she receives the award "Jazzterrassaman" by Terrassa International Jazz Festival. 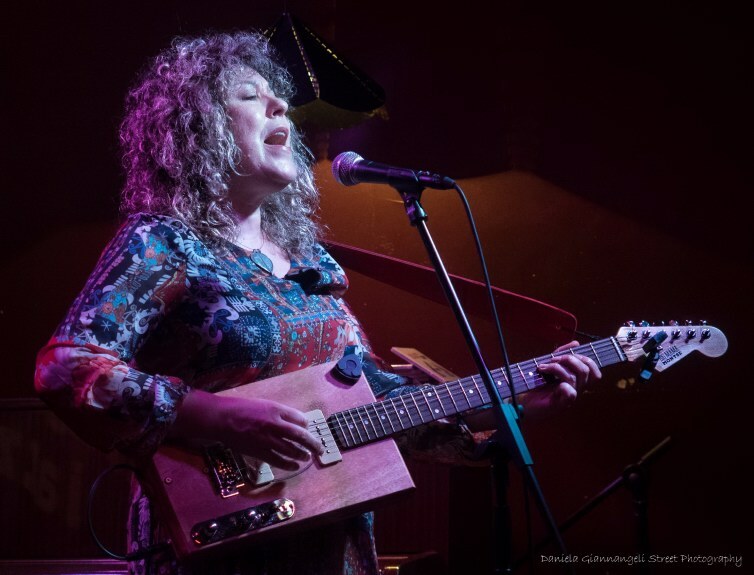 She has also received the Capibola Blues Award 2010 by Barcelona Blues Festival, an ukelele for her 25th Anniversary as Big Mama by Barcelona Blues Society, Honorific Member by Rubí Blues Society on 2015 and Girona Blues Society on 2016, Artist BluesCat 2007, "Dones d´Enllaç" Award 2008, "Best Jazz Album1994" by Radio4, Finalist as "Best Jazz Album" by SGAE and AIE at III Premios de la Música, Finalist of the Bands Challenge by Getxo International Jazz Festival 1991, etc. She has participated in numerous concerts and Jazz and Blues Festivals such as Marciac (95), Bayonne (95), Monségur (95), San Sebastián (95-2000), Lisieux (91), Orange (95), Mégève (95), Getxo (91), Santiago de Compostela (89-91-95-2003), Córdoba (94), Santander (95), Cerdanyola (90-91-92-98-2001-07-13), Barcelona (92-94-2001-02-06-09-12-13-14-15-16-17-18), Terrassa (89-90-93-95-96-2000-07-08-09-10-13-15), Madrid (San Juan Evangelista) (91), Mantes-la-Jolie (2002-05), Chaumont (2003), Les Escaldes-Engordany (2002-03), Le Pouliguen (2004), Cognac (2004), Condat sur Vienne (2005), Val d´Oise (2006), Roses (93-2000-04-07-08), Thouars (2010-12), Sem (2012), Sofia (2013), Cahors (2013), Frederikshavn (2013), Trieux Tonic Blues (2014), Guitare en Save (2014), Clarijazz (2014), Getxo (2014), Notodden (2014), Chelyabinsk (2015-18), Benicàssim (2015), Blavoevgrad (2016), Eutin (2016), Åmåls (2016), Hondarribia (2016-18), Burlada (2016), Tolosa (2004-05-13-17), Antequera (2017), Salamanca (2017), etc.